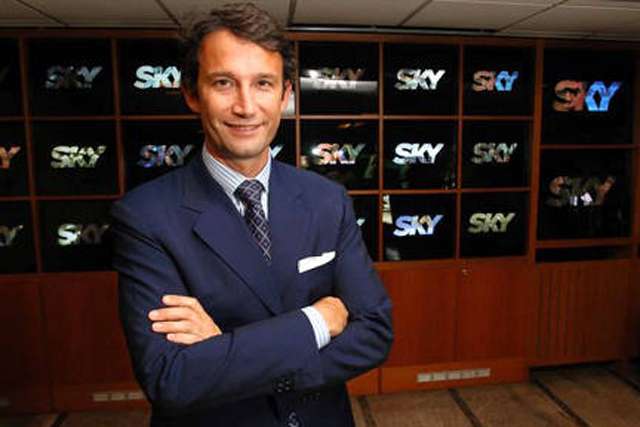 Andrea Zappia, the managing director of Sky's customer group, has been appointed chief executive of Sky Italia with immediate effect, replacing Tom Mockridge. Zappia joined BSkyB in his current role in 2010, taking charge of the sales, marketing and customer operations teams across BSkyB’s range of pay TV, broadband and home telephony products. His appointment follows Mockridge’s elevation last month to become chief executive of News International, the company that owns Rupert Murdoch's UK newspapers, in the wake of the phone hacking scandal that led Rebekah Brooks to resign. Sky has handed Zappia's responsibilities for product marketing, brand marketing, customer acquisition and retention to Stephen van Rooyen and his responsibilities for customer service to Chris Stylianou. Van Rooyen was deputy MD, marketing and Stylianou was deputy MD, operations in Sky's customer group. Prior to joining Sky, Zappia spent seven years at Sky Italia, latterly as vice president for sports channels. Previously, Zappia held a variety of senior marketing roles at Ferrari, Fila and Procter & Gamble. James Murdoch, deputy chief operating officer and chairman and chief executive of News Corporation, said: "I am delighted that Andrea is to return to Sky Italia, given he played such a key role in the team that has laid the foundations for its success. "Andrea is a world-class executive with a breadth of experience across a range of roles, covering operations, sports, marketing, broadband and branding, and a range of sectors. I look forward very much to working with him as we take Sky Italia into its next phase of development."